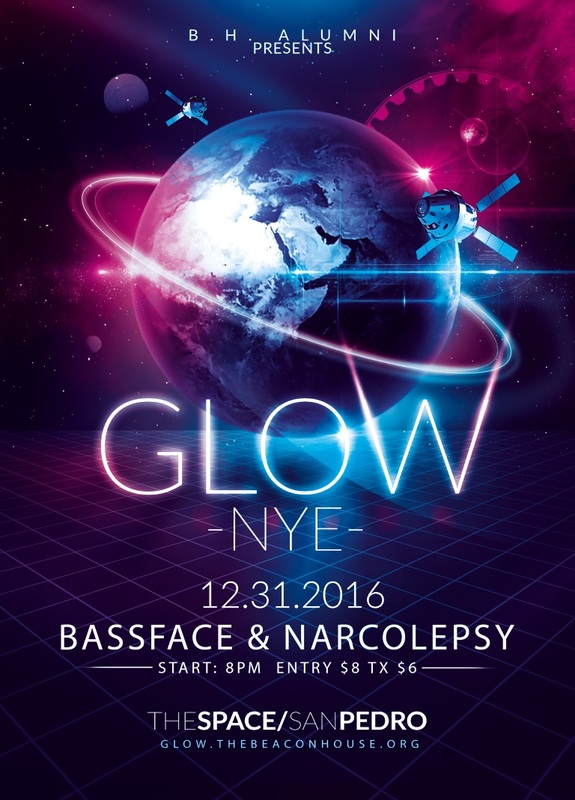 Come join us as BH Alumni presents Glow NYE. This premier venue will be one magical way to ring in your new year alcohol/drug free with 2 rooms of music, food, drinks, games, 17 foot xbox screen and multiple lounge areas. This transformed film space will take you into the new year with its futuristic props and glow vibes as seen in Kendrick Lamar's latest music video. BH Alumni Events is dedicated to providing a safe environment for our guests, staff and artists. Private security and medical personnel are present at our events. If you need assistance, please seek out a security officer or event staff member. The use or possession of any illegal drugs will not be tolerated anywhere inside or outside the venue. Do not bring any illegal substances to the event; violators will be prosecuted to the fullest extent of the law. If you are found intoxicated at entry, security will not allow you to enter the venue. Event staff reserves the right to refuse entry to anyone. Be responsible, and make smart choices. By purchasing a ticket, you agree to submit to a thorough bag search. Security officers work both inside and outside our events. All narcotics laws are strictly enforced. We reserve the right to refuse entry to anyone. • NO Unauthorized solicitations, handbills, sampling, giveaways, etc. • Smiles and good vibes! Parking is free after 7:00pm in the 7th street lot. See map for details. Wristbands for entry are $8.00 for the general public and $6.00 if you come with a treatment center. Pre-sale wristbands are available and highly suggested as this event will sell out. Please email Ryan S to order pre-sale wristbands.